We can’t let this NH talent just disappear. Operator standing by (Nancy West) to help you save Mike Marland with your underwriting or advertisement or your donation — all tax-deductible at 603-738-5635. After 29 years of skewering politicians for the Concord Monitor, Marland has become the latest victim of cost-cutting and needs a new home. 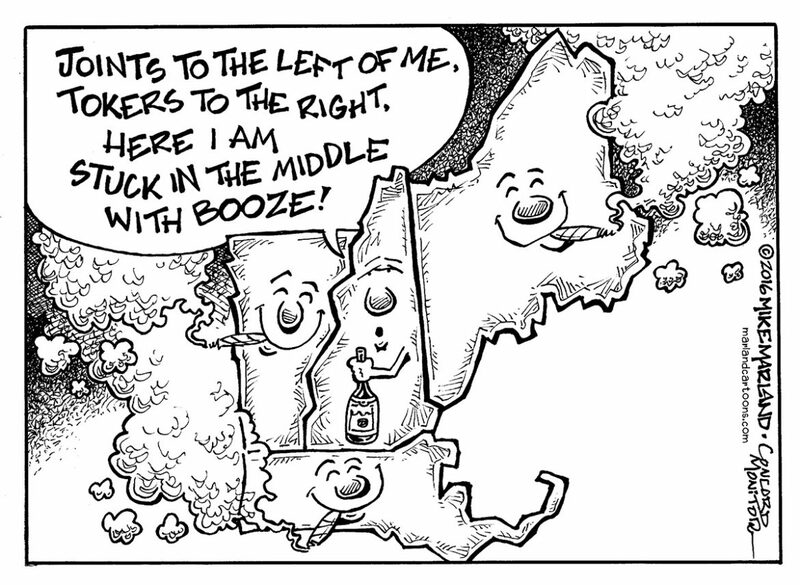 Help InDepthNH.org, your nonprofit investigative news outlet, adopt Mike Marland’s awesome editorial cartoons and find underwriters and advertisers to spend tax-deductible dollars to help keep his political voice strong. Yeah, he leans left, but InDepthNH.org is looking for his GOP counterpart to give 2017 some real fun punch. We need Mike Marland now more than ever.